If you are like us, you probably spend more time outdoors than in your own house, practicing your favorite sport or simply walking in the nature reaping all the health benefits associated with these activities. Even if you’ve just started being more physically active, you’ll notice the improvements in a very short time. When out there hiking deep in the forest, on the top of a mountain, or skiing in your preferred trail, you’ll agree with us when we say that having the proper equipment is very important. So, in this article we will introduce you to a new brand, that a lot of you might already know, called Haglöfs. 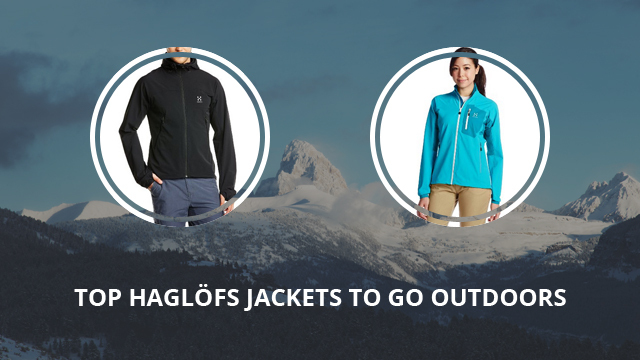 It is a Swedish brand founded in 1914, that has now become the largest supplier of outdoor gear in Scandinavia. They market a lot of products, including footwear and hardware, apart from clothing. We have compiled a list with 8 of their top jackets, that you can wear throughout the year in many different activities, during those cool days or nights when you would like to feel warm and comfortable. The selection will feature jackets for both men and women, chosen because of their best design and quality, so keep on reading to find the one that will best suit you. 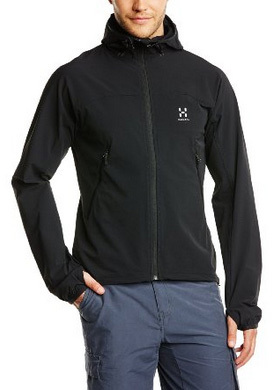 Starting off with the men’s jackets, first up is the Boa Softshell. 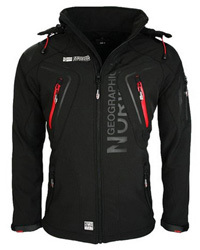 This jacket is made of 90% Nylon and 10% Elastane. It comes with an adjustable hood, but that cannot be removed. There are drawstrings on the hood, as well, both to the front and to the back, for proper adjustment. The collar is high, when zipped up and there are thumb holes on the cuffs, for extra protection on your hands and also for a better and more comfortable fit. There are two side pockets, that are quite oversized and close up with zippers. It is a water repellent jacket, as well as windproof, that you can wear while camping, hiking, running or as a layering jacket, in colder weather. The colors available are many, including: True black, Black, Nori green, Cayenne, Danger red, Azure blue, Strato blue, Lime green and Storm blue. On to a jacket for those who love spending a lot of time outdoors, especially hiking or trekking, it’s the L.I.M. 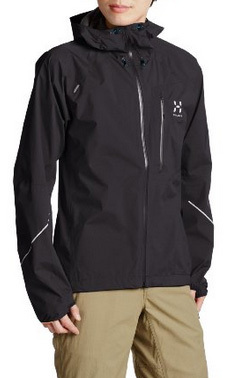 This is a 100% Nylon jacket, with a 2,5 layer laminate. It is waterproof with a rating of 10.000mm and it is also windproof. It comes with a high collar, in perfect insulation provided by the taped seams, elastic cuffs and hem, that fit tightly on the wrists and hips. The zipper is protected underneath and there is also a chest pocket, nicely sized. The hood is not removable but it is adjustable. This jacket is highly breathable, ensuring there will not be any overheating. The colors available include: True black, Blue ink, Green, Gale blue and Magnetite grey. 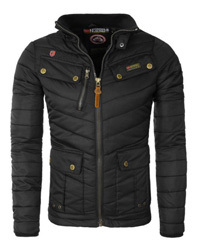 This next jacket is the L.I.M III and it is suitable to be worn in any weather and activity. 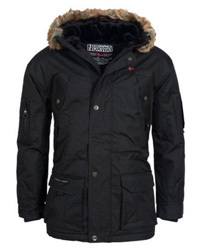 It’s very lightweight, but provides plenty of warmth and, with the insulation it comes with, maintains it quite well. 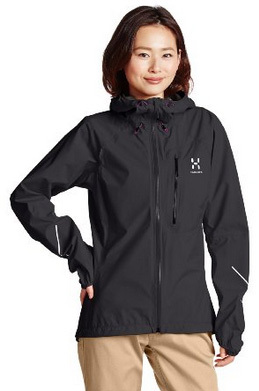 It is a rain jacket that can withstand cold winds as well. There are thumb holes on the cuffs, as well as an adjustable high collar. The hood is not removable but, of course, adjustable for proper fitting. There is a chest pocket, on the left side, but no side pockets. This is a loose fit jacket, designed to allow for maximum mobility, so it can be worn during activities that require a wide range of motion. The color selection includes: Magnetite, Dynamite, True black. The Incus II jacket is the last one for the men’s selection. It is lightweight, but a bit bulkier than the previous ones. 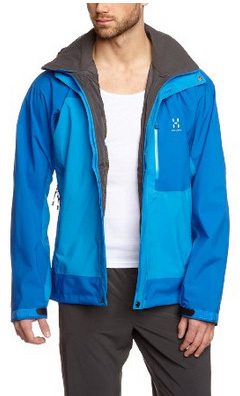 This jacket can be worn in rain or even light snow. It’s very warm, with proper insulation and double layered. The cuffs can be adjusted with Velcro and the main zipper is protected with a storm flap. The hood can be tucked into the collar and used when necessary. The look is very elegant and it can be worn not only when being active but also as a day-to-day jacket. It is made of 100% Polyester and it’s high quality, very durable and weatherproof. The colors available are: True black, Gale Blue / Storm Blue, Magnetite / True black. As for the ladies’ jackets, apart from one, the other three are the women’s version of the first three jackets mentioned above. Starting with the Boa Softshell, the material is 90% Nylon and 10% Elastane, windproof and water repellent. It is a loose fit jacket, with thumb holes on the cuffs and an adjustable hood. There are two side pockets and a high collar. This is a softshell jacket, therefore it can be worn either as an only jacket for mild weather and outdoor activities, or as a layering jacket underneath a heavier one, for those who prefer winter sports such as skiing or snowboarding. The colors available are: True black, Deep blue, Volcanic pink, Cosmic pink, Brimstone and Imperial purple. Continuing with the L.I.M model for women, this is similar to the male version. It comes with only a chest pocket, a non-removable hood, with elastic band around, for proper adjustment. The cuffs are elastic, as is the hem of the jacket. This is a loose fit design, allowing for a lot of movement and comfort. The material is 100% Nylon, with a 2.5 layer laminate and highly breathable. 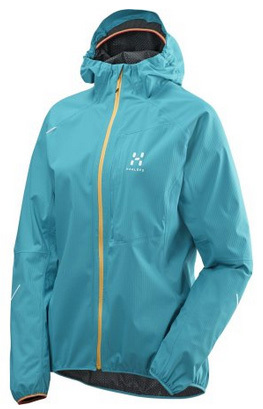 It can be worn during most outdoor activities and it is water repellent and windproof. The colors include: Peacock, True black, White and Imperial purple. 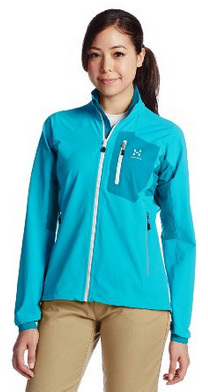 On with the LIM III version for women, this jacket is made of 100% Nylon. 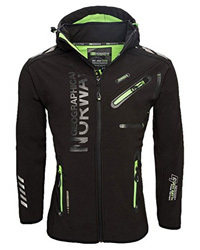 It is a lightweight jacket and highly breathable, suitable for any outdoor activity. It comes with an oversized chest pocket, thumb holes on the cuffs and a high collar, with an adjustable hood attached. It withstands rain and wind, and provides considerable warmth. The colors available include: True black and Peacock. This is the last jacket for this selection, the Lizard Softshell. For those wondering about the name, it refers to the fact that this jacket allows for a lot of movement, due to its elasticity. It comes double-layered, with the outer shell being 90% Nylon and 10% Elastane and the inner being 93% Nylon and 7% Elastane. The design is minimalistic, but comes in eye-catching colors and contrasting zippers. 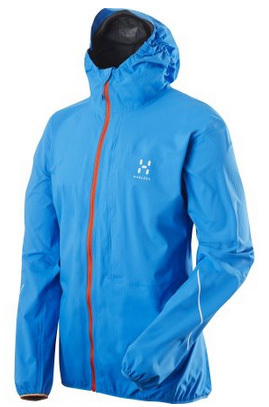 It is weatherproof, lightweight and highly breathable. The collar is high and the main zipper comes with a chin cover. There is no hood. There are three zipper pockets, two on the sides and one on the chest. The colors available include: True black, Bluebird / Peacock and Cosmic pink.